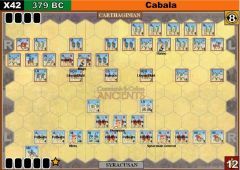 The Carthaginians learned from earlier defeats in Sicily that they had to field reliable, trained heavy infantry of their own. 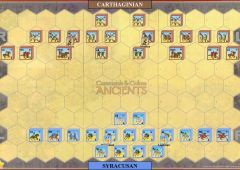 They formed the Sacred Band, a force of about 2500 excellently trained Carthaginians, as good or better than anything the Greeks or Syracusans could field. 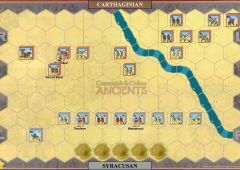 The Sacred Band formed part of a large army under Hasdrubal, advancing eastward to subjugate Sicily. 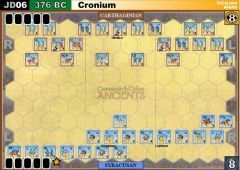 Opposing him with a much smaller army was the able tactician Timoleon. 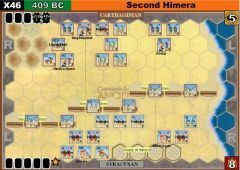 Ever aggressive, Timoleon anxiously awaited an opportunity to strike the Carthaginians a hard blow on his terms. 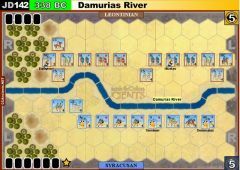 He got that chance when, on a foggy morning, Hasdrubal carelessly ordered his army to cross the Crimissos River without bothering to send out scouts (who would have reported that Timoleon’s army was arrayed on the bluffs just beyond the river). 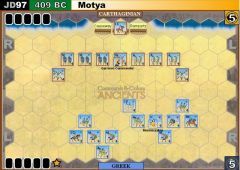 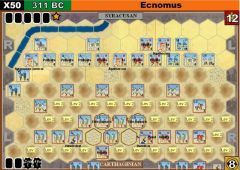 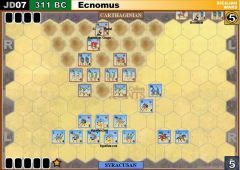 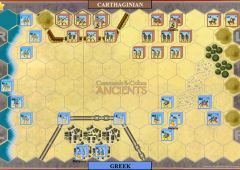 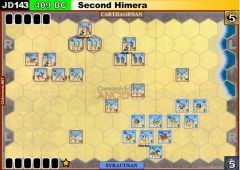 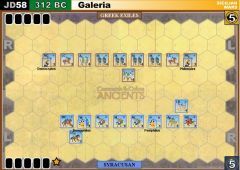 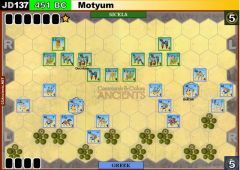 Waiting until about half of the Carthaginian army had crossed, Timoleon unleashed his excellent heavy infantry phalanx against the surprised Carthaginians. 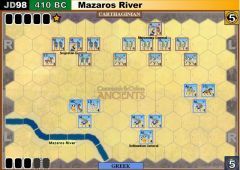 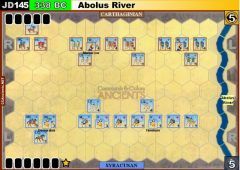 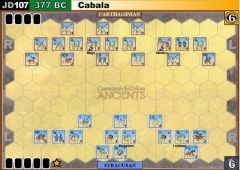 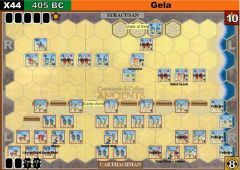 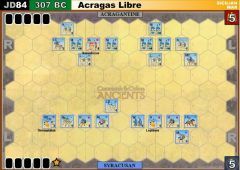 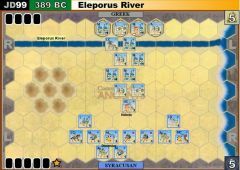 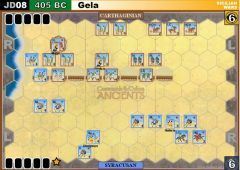 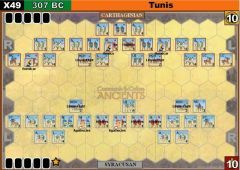 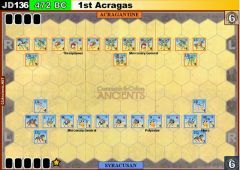 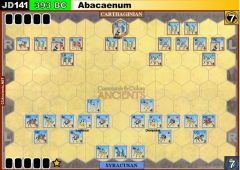 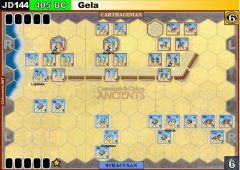 Most who survived fled, but the Sacred Band stood their ground and were annihilated by superior numbers, (aided by a sudden rainstorm that slowed Carthaginian reinforcements crossing the river). 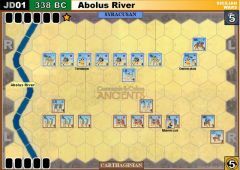 Seeing the disaster unfolding across the river, the remainder of Hasdrubal’s army broke and fled. 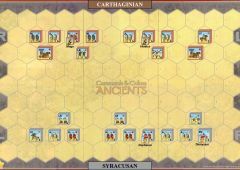 The loss of so many citizen soldiers had a horrific effect on Carthage. 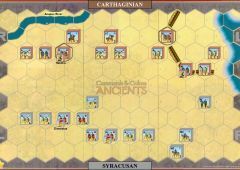 The Sacred Band was reformed, but only once was it ever dispatched from Africa again, and then only for a very short campaign. 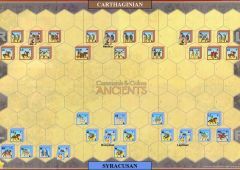 Carthage would try to make do with mercenary troops as much as possible on Sicily, which had large repercussions at the end of the First Punic War. 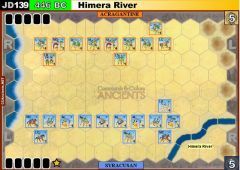 • The Crimissos River is only fordable at the river bends. 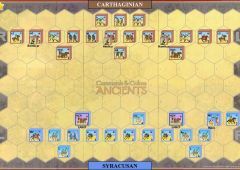 • The Carthaginian Sacred Band units are special units. 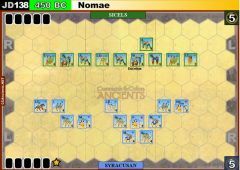 Place a special unit block in the same hex as the Sacred Band unit to distinguish them from the other units. 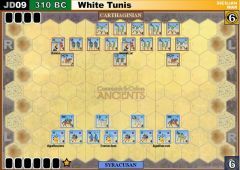 The Sacred Band will score hits for each leader hit rolled in combat. 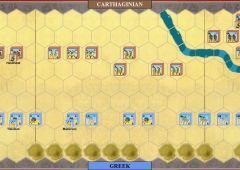 When attacked, they may ignore 1 sword symbol in Close Combat and may ignore 1 flag. 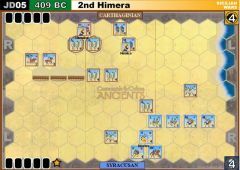 doesn't the EPIC Battle play to 9 banners? 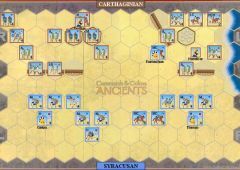 5 -1 for the Syracusans. 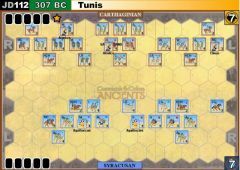 Pretty much played out like the real battle.